If you enjoy the things I excrete, maybe consider buying me a cup o’ coffee! Whutta bunch a swell goise. Streamed this one. I’ll update the post when it becomes a timelapse. Lily’s 4 years old! We went out to the beach and saw a bunch of clapping sea lions seals (sorry sea lions) and other stuff. Fun, but exhausting. Still, Lily had a blast. Oh man, sorry to hear about your computer. Also, I need to remind myself to finally get the free time to watch your Nuclear Throne gameplay! In previous updates (somewhere before update 23 I’m guessing? ), after you hit level five, the popo (aka, the IDPD) come after you. Ah yes! Correct! 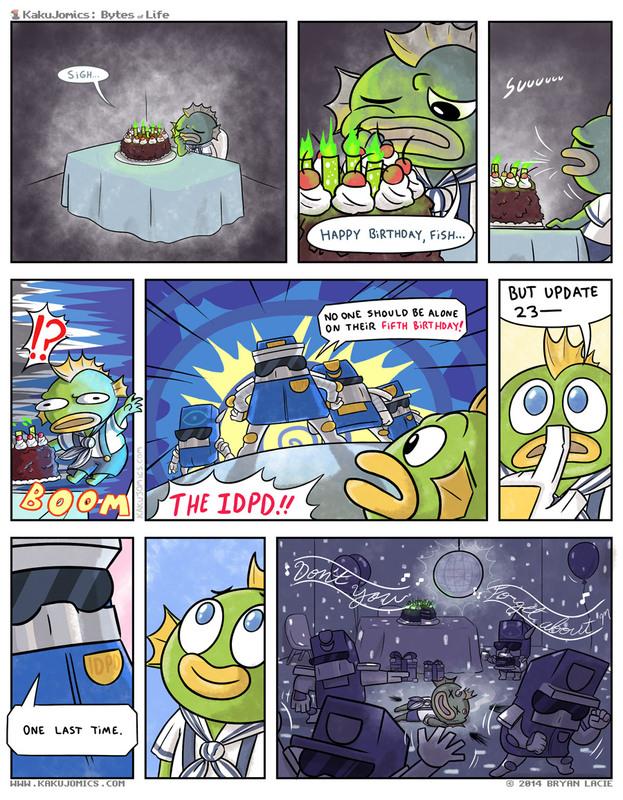 It was a potshot to make Nuclear Throne comics, especially one based on a previous update. But I really wanted to make a Nuclear Throne comic and I have no foresight or self control.